Discredited in his time, Nikola Tesla was made by business competitors and the government to be nothing more than a kook. However, these same conspirators later duplicated and stole many of Tesla's most fabulous inventions which could soon change the course of history. 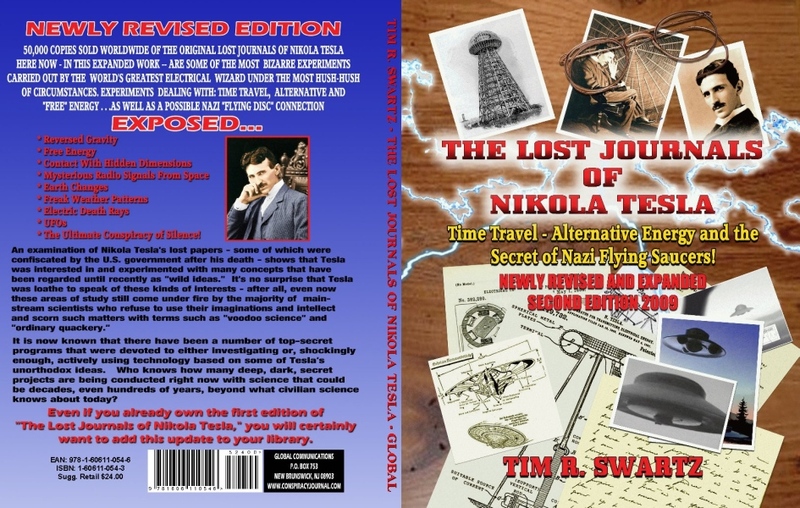 Nikola Tesla was a man ahead of this time, and may have been the first on earth to receive radio communications with unknown entities from beyond the planet. These communications convinced Tesla that we are not alone in the universe and that planet earth was in the beginnings of massive global warming that could spell doom for the human race. In his last days, Tesla involved himself with scientific research and invention in an attempt to give mankind a fighting chance against a hopeless future, but no one listened! 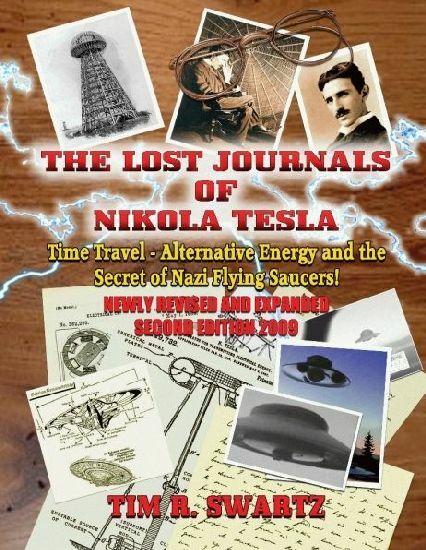 Read for yourself some of Nikola Tesla's lost notes and papers, much which has never been printed before until now, and learn some of the best kept secrets in our modern era that at one time were considered too incredible to be true. Put into Top-Secret use by agents of the New World Order and he global political/monetary elite, many of Tesla's most powerful and potentially dangerous scientific discoveries are being turned against ordinary citizens in programs of behaviour and physical and belief patterns and to make us more susceptible to the mental command of the Secret Government. One of the most recognizable of these sinister programs is the seeding of clouds with mind and body altering chemicals. These mysterious chemtrails (as they are called) have been widely seen and photographed as they cris-cross the sky in bewildering patterns. Tesla fought all his life against the 'Evil Empire,' which is emerging as a breathing dragon as we get pushed head first into the new millenium. Nikola Tesla was beyond a doubt the greatest genius of the 20th century. Our way of life today, the technology that we take for granted, is all-possible because of this one incredible man from Europe. Most scholars acknowledge that Tesla's obscurity is partially due to his eccentric ways and fantastic claims during the waning years of his life, of communicating with other planets and death rays. It is now known that many of these fantastic inventions of Tesla are scientifically accurate and workable. It has simply taken mankind this long to catch up to the astonishing ideas of a man who died in 1943. It is known that Tesla suffered from financial troubles throughout his adult life. Because of this, Tesla had to move several times when he could no longer afford his surroundings. The Waldorf Astoria in New York had been Tesla's residence for twenty years, yet he had to move in 1920 when he could no longer afford it. Tesla then moved into the Hotel St. Regis, but again was forced to vacate due to lack of financial support. Forced to move from hotel to hotel, he would often leave trunks of documents behind as security for his debts. These trunks, which were eagerly sought after Tesla's death, have become the key to unlocking the mystery of who Nikola Tesla really was, and the incredible life that he secretly lead. When Tesla died on January 7, 1943 at the age of 86, representatives of the Office of Alien Property, at the request of the FBI, went to the Hotel New Yorker and seized all of Tesla's belongings. Two truckloads of papers, furniture and artifacts were sent under seal to the Manhattan Storage and Warehouse Company. This load was added to the almost thirty barrels and bundles that had been in storage since the 1930's, and the entire collection was sealed under orders from the OAP; strange behavior, considering that Tesla was a legal American citizen.